Namu Amida Butsu is the chant that many visitors will hear as they pass through some of Kyoto’s most popular temple destinations. It means ‘Hail to the Buddha’ and forms the basis of religious practice for Japan’s Pure Land sects of Buddhism, which are the largest by far. The smaller of the two sects is the Pure Land Sect founded by the saint Honen (1133-1212). 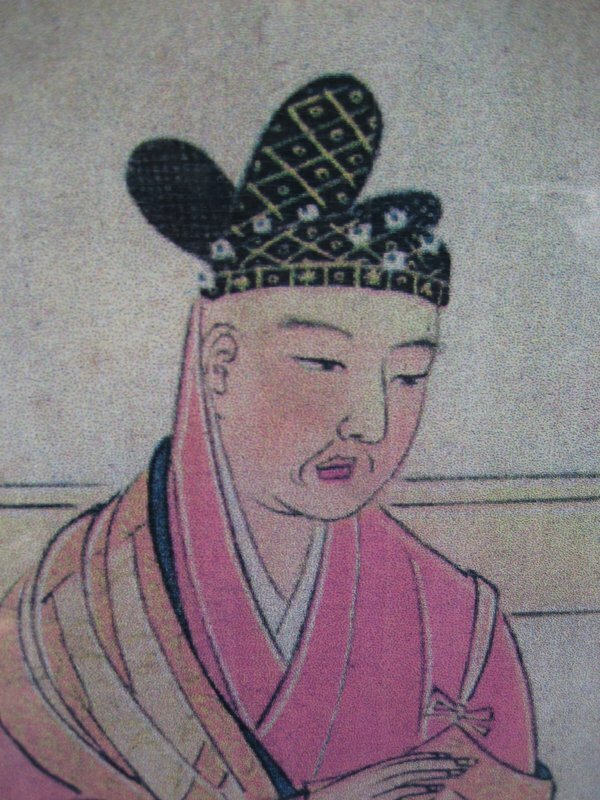 The largest, the True Pure Land sect, is identified with Shinran (1173-1263), Honen’s senior disciple. Few people, however, know that Pure Land Buddhist beliefs began nearly 200 years before Honen became overwhelmingly identified with them. Instead, the true roots of the Pure Land beliefs are closely related to the remarkable life of the 10th century Buddhist priest, Kuya (903-972) who is often referred to as the Sage of the People or the Sage of Amida. Kuya was born as the son of the imperial family but his mother was not of the ruling Fujiwara clan. He became a monk at a young age and eventually was ordained as a Tendai priest at Enryaku-ji Temple in 948. 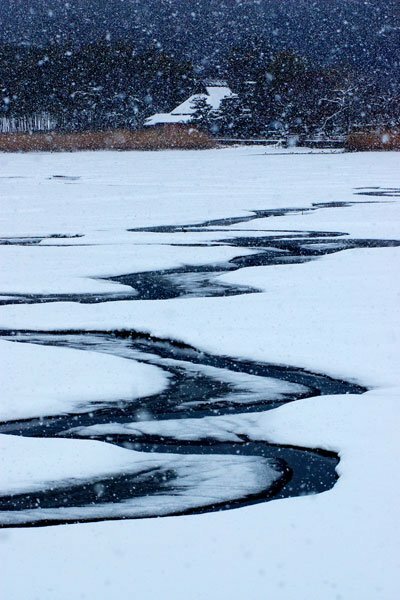 Following his ordination, he traveled around the country for fourteen years helping the common folk by building bridges and digging wells, and practicing a kind of chanting dance known as odorinenbutsu. In market places wherever he went, the common people joined him as he danced and chanted Na-mu A-mi-da Butsu (“Hail to the Amida Buddha”). When a serious epidemic caused many to die in Kyoto, he rallied the people to build a statue of Amida in a public square, saying that the power of the common people could be as great as that of the ruling classes. Can reach there in a day. By 963, Kuya was popular enough to gain the donations he needed to build his own temple, Saikou-ji or more popularly Rokuharamitsu-ji. The path of the Nembutsu faith bypassed the wealthy, ornate temples and rituals sponsored by the nobility and offered a simple, accessible path to salvation for the common man and woman. Ordinary people could carry Amida Buddha with them in the recitation of his name and receive all the benefits of the Pure Land through their simple faith. Many stories told in sutras and popular Japanese tales tell of the power of the nembutsu chant in bringing rebirth and salvation to one and all. Today, visitors from all over the world come to Rokuharamitsu-ji Temple to feel Kuya’s spirit and to see a remarkable wooden statue carved by Unkei (1151-1223), one of the greatest sculptors in Japanese history. The statue depicts Kuya chanting the nembutsu. His mouth is open and on a thin wire, like a long tongue, stand six tiny images of the Amida Buddha (each representing one of the six enlightened principles of Buddhism, and the six syllables of the Pure Land chant: Na-mu A-mi-da Butsu). In his hands are a staff and a gong for beating the rhythm of the chant used in the odorinenbutsu. Rokuharamitsu-ji stands in an old, crowded area of traditional homes and shops not far from popular Kiyomizu Temple at the western edge of Kyoto's largest graveyard: Toribeno. Situated about 1 kilometer east of the Kamogawa River, Rokuhara was the 12-th century headquarters of what is regarded as the most tragic and celebrated family in Japanese history: the Taira (or Heike). 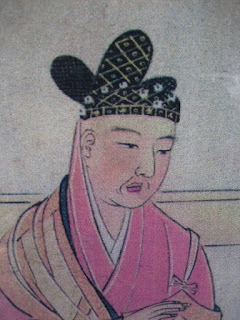 The head of the clan at its peak was Taira Kiyomori, who was responsible for overthrowing the all-powerful Fujiwara dynasty that indirectly ruled Japan for centuries. Kiyomori took vows and lived at Rokuharamitsuji Temple when he fell out of favor with retired Emperor Go-Shirakawa. The long and colorful history of the clan is the cornerstone of Japanese classical history and power and preserved in the famous literary work: The Tale of the Heike. The principal image worshipped at the temple, even today, is an eleven-faced Kannon, the Goddess of Mercy or Compassion. 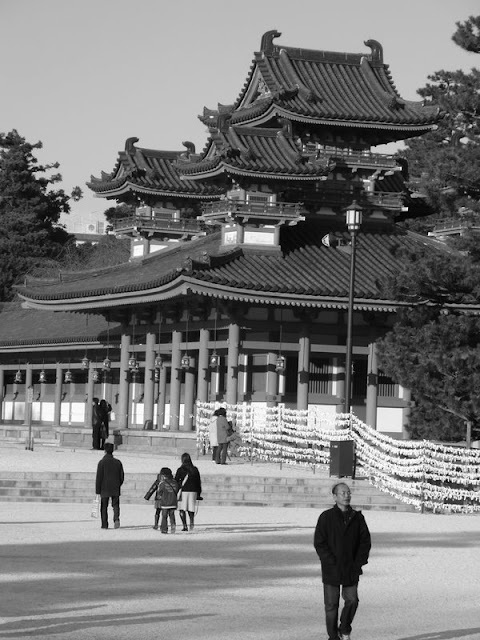 It is the 17th temple on the very popular (then and now) Saigoku Kannon pilgrimage route. Of special interest for the foreign tourist are the superb 12th century statues of various Buddhist deities and historical figures that can be seen up close in very relaxed surroundings. These include the famous statue of Kuya show here. The temple (1 km straight west of Kiyomizu Temple and north of Gojo) is open from 9:00 to 17:00 daily. Entry is Yen 500. Honen, the historically-credited founder and saint of the Jodo (Pure Land) sect of Buddhism, lived in an important transitional era at the end of the Heian era (794-1185) and the beginning of the Kamakura period (1185-1333), when new samurai clans like the Heike and the Genji were fighting for supremacy. In 1185, after defeating the Heike, Japan’s first shogun dynasty, the Genji or the Miyamoto, established their military headquarters in Kamakura, just south of present-day Tokyo. After many years of wandering, study, and meditation, Honen settled in Kyoto and introduced a new basis of faith, maintaining that anyone can attain enlightenment by relying exclusively on the Amida Buddha's mercy. Over time he gained favor with a number of leading aristocrats for his wisdom and healing powers and had as many as 200 disciples. Unfortunately, his ideas were directly critical of the two leading religious powers of his time, the Tendai sect based at Enryaku-ji Temple, and the original Buddhist temples in Nara. By 1204, in an attempt to limit his power, the practice of nembutsu as an exclusive way of reaching enlightenment had been firmly prohibited by Enryaku-ji Temple. In 1207, Honen was forced into lonely exile on Tosa Island. He returned to the capital in 1211 after being granted a full pardon and died the following year in the meditative state at Chion-in Temple (Kyoto), where he is worshiped in a special annual memorial ceremony.